I had training on the other side of Manchester this morning, I hoped I would spot a dog on the way back to work but no joy! When I got to Ethan’s nursery I went for a little walk around the block but again no joy, so I decided I would pop to the park on the way home. I’m really gutted that it’s starting to get dark early, it’s difficult to get good pictures! When I got to the park there was still some light and I spotted Tobias a very excited puppy running in the field. I’ve met Tobias before, he was playing with Molly from day 275. 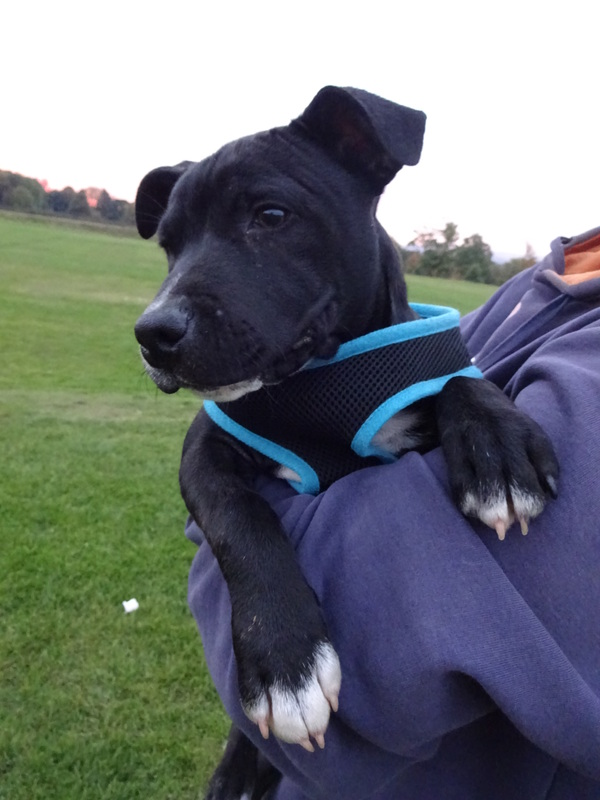 Tobias is very excited, he’s a ball of energy, it takes quite a lot to tire him out! 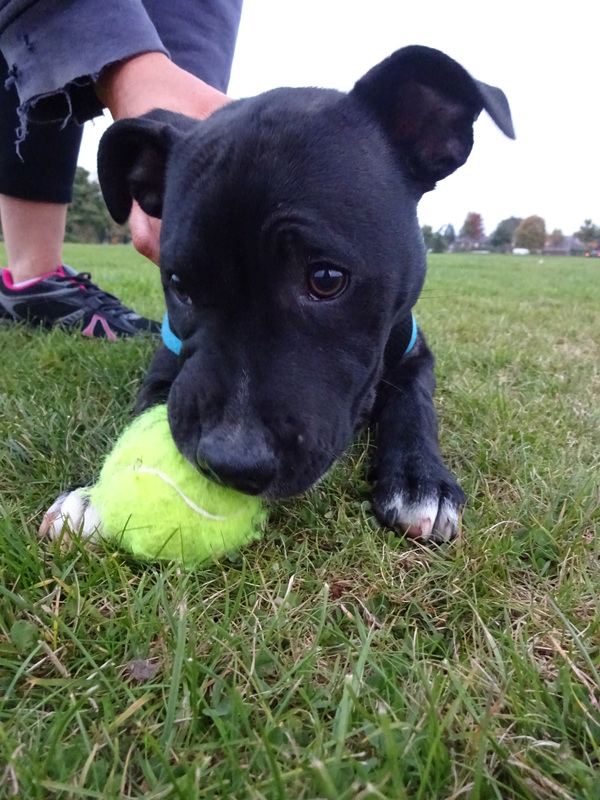 Tobias is a friendly boy and loves playing with other dogs! Favourite toy: His ball and anything that squeaks! Favourite pastime: Climbing on the sofa and the bed! Toby has only just learnt how to climb on them and he’s very happy about it! He feels that he’s made a real achievement and waits for a treat!